If you are considering tattoos, keep in mind that they are a permanent part of your skin. Because tattoos are created with permanent ink being placed underneath the skin, they are a lifelong fixture unless you later decide to have them removed. Having a tattoo removed involves surgery, which is very expensive and carries it’s own risks. As with any surgery, there is always the possibility of complications. If you are thinking of getting tattoos, it’s best to make sure that you really want them in order to avoid having to later go through surgery just to remove them. Tattoos can be very expensive depending on the size of the design. They can range from the tiniest of symbol to a large detailed image. Because tattoos can be priced very high, many parlors offer an unconventional, yet practical, way to purchase your design of choice. Many businesses offer a convenient layaway plan with the tattoos being created after the last payment is made. If you have the cash to pay upfront, you may be able to make an appointment and get the design imprinted on the same day as payment. Depending on the design and complexity of the tattoos that you select, the process can be brief or may last for hours. When considering tattoos, it is important to do some research on the design parlor before hiring them. How long have they been in business? Have there been any complaints lodged against them with the local Better Business Bureau? If you have friends who also have tattoos, who do they recommend and what was their experience? It is very important to follow up with references and as much of a background check as you can possibly get before agreeing to have your tattoos created. In your research, try to find out which businesses have the best history with make sure their equipment is clean. This is the most important thing to consider about tattoos because, if the business is not licensed or the artist is not a professional, there is no guarantee that their instruments are clean or properly maintained. Your health is your biggest concern so, if you are considering tattoos, be sure to select the best parlor for the job. 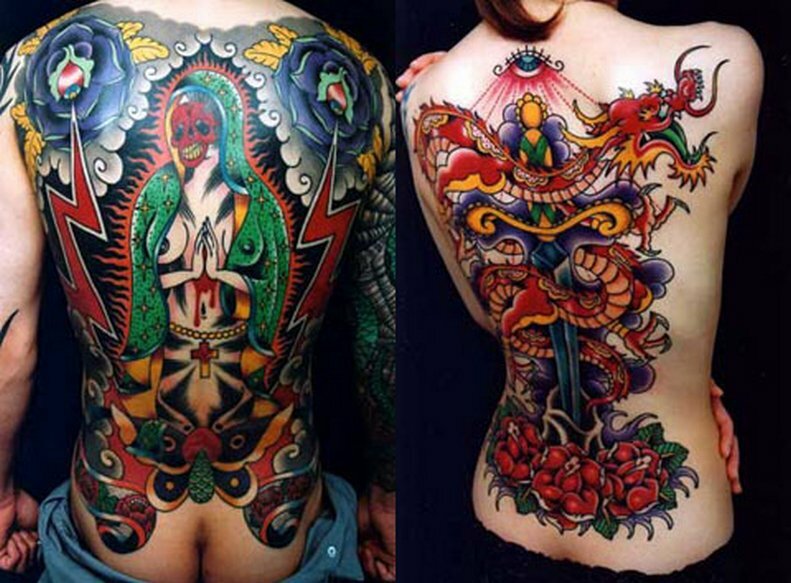 Tattoos are colorful and can be an expression of art if done correctly. They often reflect a person’s lifestyle, name of a spouse or other sentiment. At the same time, they can cause a concern of infection.